‘Tis the Season | What's Up, Ya Sieve? Is anything more 90’s than spray deodorant? That’s a lot of fun for a team that can’t win a freaking game. 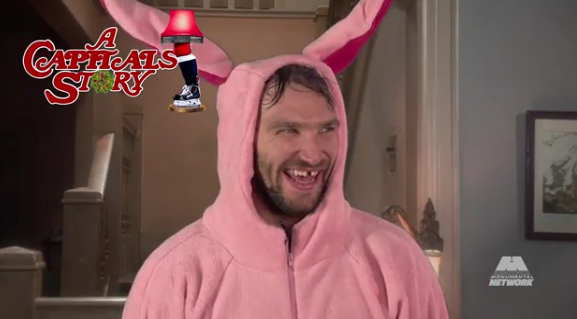 The Sharks, reigning kings of the Holiday Video, know how good they are. This year they’ve made it an event. Five behind-the-scenes videos a la VH1’s Behind the Music – three here, and two more yet to come (today and 12/24). Objection. 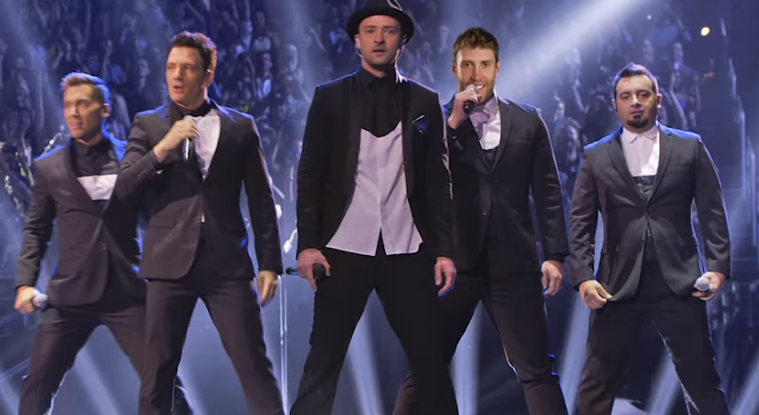 More 90’s than spray deodorant: Joe Thornton and *N Sync. There is also a contest to win an appearance in their 2016 video. I love that they’re thinking about next year when we haven’t even see this year’s yet. 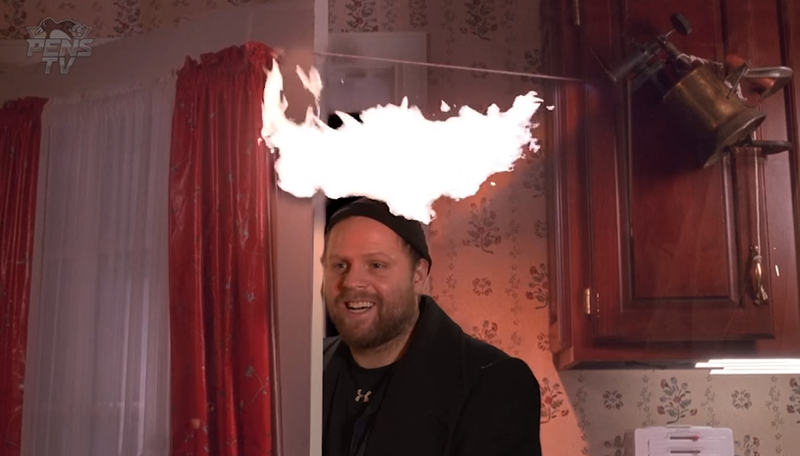 That #2 team in the NHL, the Capitals, chose to spoof A Christmas Story, and it’s glorious. [Video] They basically put glasses on everyone who could be improved by them. Does the Easter Bunny visit Russia? 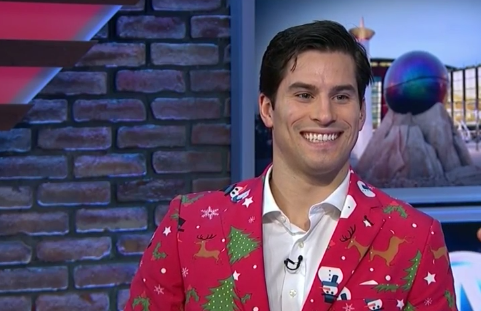 The Flames went right for the low-hanging fruit: the ugly NHL Christmas sweater. They helpfully feature all five (!) of the Flames ugly sweater designs. (We feel you, Rover.) Chuck’s poor, beloved Dougie Hamilton wins/loses this one – that a lot of yellow even if he weren’t a ginger. Luckily, a cameo by Brandon Bollig’s abs make Christmas the day of giving all over again. The Senators also broke out the ugly sweaters… sort of. How many hairstyles got made for these little LEGO guys? Overall, that gets a meh. But the coach should definitely say “Karl” more often. I wasn’t sure he was talking to the only other guy in the scene. The Canucks went to musical route but, unlike the Habs, left the heavy lifting to other people. Smart move. I may despise The Sound of Music and only understand 20% of the references here, but it’s well done. And anytime a music video allows hockey players to break the Nick Carter Rule (no freestyle dancing, you dork), we are in. Speaking of singing and, er, dancing, I’m just going to let the Blues video speak sing for itself. Alison printed this out and showed it to Santa. Many teams that didn’t produce videos found other ways to spread holiday cheer. The Islanders did some toy shopping for delivery to a local hospital. The Blackhawks did a hospital visit, and the Wild too. I stopped counting after that. The Devils don’t have a video, but Adam Henrique still went out in search of another human that shares his affinity for elf culture. Did we miss any? We’d hate for Santa to leave anyone off his list! You know there’s something extra under the tree for anyone who embarrasses themselves for the sake of our entertainment. 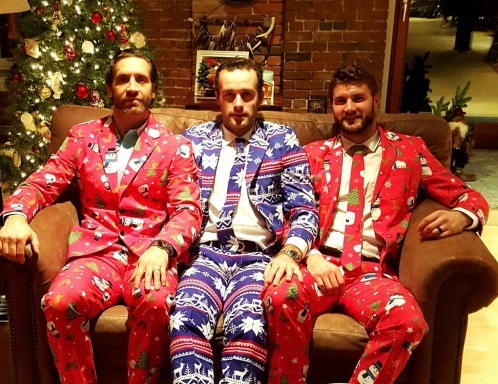 Update: From the AHL’s Providence Bruins, here’s Max Talbot and Co. after raiding Henrique’s closet. Bonus points for the matching tie. Update #2, from Natalie: Not-team related, but we’ll post because Roman Josi can have our column whenever he wants it. Also, I require an explanation of these pants. HAPPY HOLIDAYS, friends. May your days be merry and bright – and your nights full of your team earning points. Max Talbot is an unstoppable force. I am forever impressed. I will add this, only because it’s Max. It pains me to see him playing below the NHL level. 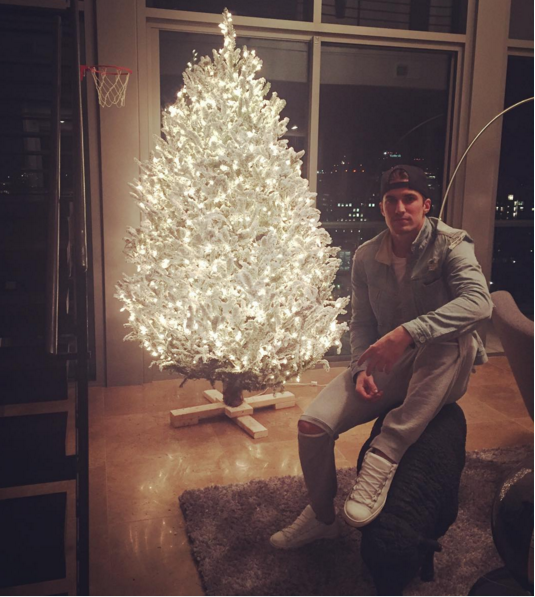 How about Roman Josi looking perfect as always? 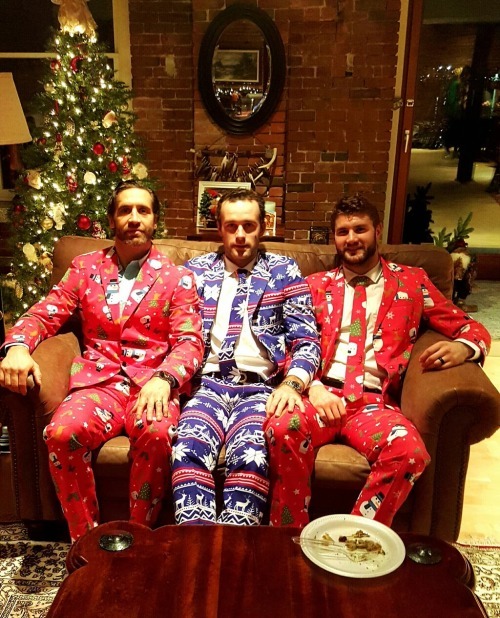 There has GOT to be a Seguin-Benn kind of holiday SOMETHING floating around the interwebs….right?!?!? 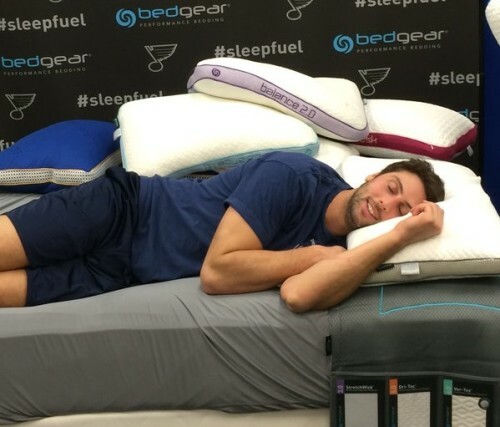 I’m afraid to watch the Caps video because even that picture of Tom and Latts has rendered me absolutely useless.